Connect, control, charge, and play an iPod through your factory Volkswagen or Audi. Radio Supports Pandora, Livio radio, i-Heart radio, and Sirius XM Apps! Connect, control, and charge your iPod, iPhone, and iTouch from your Factory Radio. Works with and charges iPhone 5 but must be used with Apple's lightening to 30-pin adapter. Works with and charges ALL iPhone Nano, and iTouch. Display of artist and song tile information on the radio and track search by artist , song title, or album from the radio are NOT supported. Only the Playlist number and track number will be displayed on the radio. More functions to select from your radio or steering wheel controls ever! 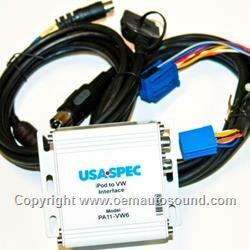 PA11-VW6 is designed as an alternative replacement to Audi and VW external CD changer. Therefore it is not possible to have a CD changer and a PA11-VW6 interface simultaneously connected to your vehicle's radio. Connect and play a 2nd audio device through your car stereo. You can connect an addition auxiliary input into your factory Radio for audio device such as DVD player, satellite radio receiver, or MP3 player to the AUX Input on the interface. The AUX input is also selectable from your radio. Playlist Mode: Use your iPod to create up to 5 favorite mobile playlists. Then, access, play, and control each favorite play list with your factory radio. Direct Mode: Use your radio to select Direct Mode and then Manually control your iPod and complete access all your content. Access direct mode right from your radio with a touch of a button. In Direct Mode, radio will controls song up/down and random or shuffle Play. User can control all other features of the iPod manually. CAS-AD3 cable must be purchased separately from USA SPEC @ 626 336 3836. 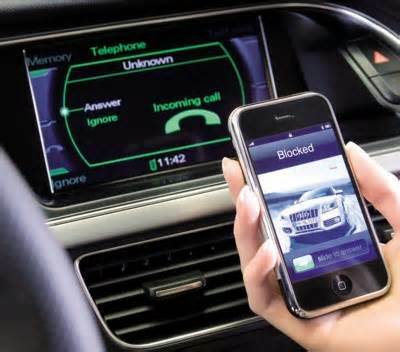 If the vehicle has SAT tuner, it must be disconnected. 98 - 99 A4/Cabriolet radios must have round PWR button in the middle. Some 98-99 vehicles with BOSE or Premier radios with 13-pin din plug in the trunk are NOT compatible with PA11-VW6. All USA SPEC models have the option for easy access to Direct Mode right from your radio. Just select preset 5 or 6 for direct mode and then select Pandora Internet radio, Livio radio, Sirius XM right from your iPod.